July 6, 1925 marks the day the Seneca Falls Country Club was incorporated. 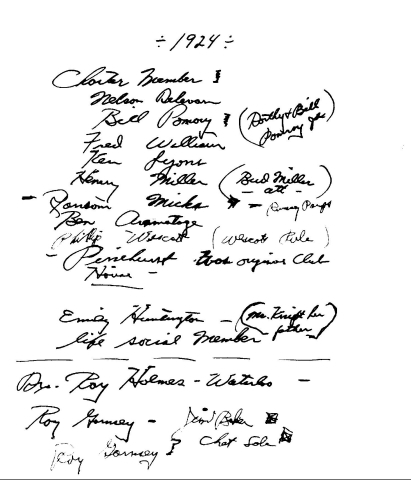 That was the day a group of investors from Seneca Falls and Waterloo paid $5,000 to Mr. and Mrs. Robert Denny of Riverside, California for 115 acres of land that is now country club property. It included the farmland (Pinehurst) and a 2-strory barn on the shores of Cayuga Lake. 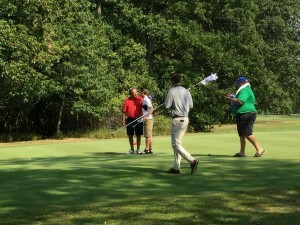 The group immediately set out to build a golf course and hired Mr. Noble from Newark, NY. He built what is now known as the “Old Nine”. These same greens remain intact today with the exception of greens #10 and #11. Mr. Jerry Stack, who was our club pro at the time, relocated these greens in 1941 by moving them back about 100 feet. Both greens were situated on top of a knoll and were considered unplayable. One interesting note is that the 10th green has a muck base that was trucked from nearby Montezuma. The same could not be done for the 11th green because the truck could not negotiate the hill to the green. 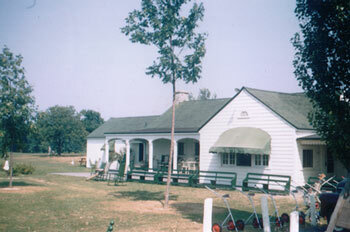 The original practice green was located just behind the old clubhouse, right about where the banquet hall is currently located. The original first tee was located by the entrance to the SFCC and if you look closely in that area you will see 4 stones lying flat on the ground. These stones served as the foundation for the pro shop where Mr. Charles Campbell, direct from Scotland, served as our pro. The bulk of his business was selling pop and candy to the caddies. In the early 1930’s the state embarked on the construction of route 89 which divided the clubhouse and barn from the golf course. It was then that the Board of Directors decided to build a new clubhouse at the site where our present clubhouse now stands. The land on the east side of route 89 was sold to Patrick Mooney for $5,000. The proceeds from the sale were divided among the original investors, each person getting their original money back. During the summer of 1930 as the newly founded Seneca Falls Country Club was busily engaged in the building of a new nine hole golf course, the New York State Department of Transportation announced that it would begin construction of a highway known as the Canoga-Halsey Corners Highway. The new highway was to run from Savannah, NY south to Ithaca. Preliminary plans showed that the highway would separate the clubhouse, which later became the Pinehurst Inn, and the maintenance barn from the golf course. Of much greater concern to the Board of Directors and membership was the fact that our neighbors to the North, the owners of “Bankers” was a very influential businessman from Buffalo and he petitioned the State to reroute the highway so that it would not split his property. The state changed its plans so that the roadway would encompass a small corner of Cayuga Lake State Park, proceed in a southwesterly direction across our 12th tee and 11th green, continuing south and heading directly to our 10th green and back as originally planned, exiting the area where our maintenance shop now stands. As word of the state’s decision spread throughout the area, Mr. Harry S. Fredenburg, one of the original founders of the club and Chairman of the Seneca County Republican Committee, made several phone calls to Albany and Syracuse. 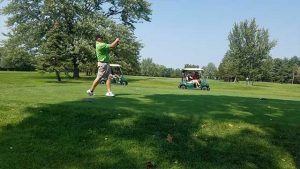 He explained to those in charge of the project that it would be economically disastrous to the club and Seneca County. In taking away so much of the club property it would be virtually impossible to rebuild on the remaining limited amount of land and since the entire golf course would have to be reconstructed. 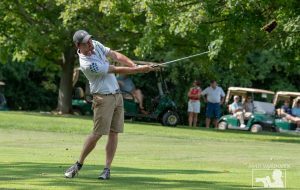 Mr. Fredenburg proposed that it would save taxpayer dollars and lessen the hardship to the club if the highway continues south as originally planned. After numerous calls and a site exploration, the state reconsidered. Mr. Fredenburg won his case. Now directly behind our 11th green lies a small parcel of land that still belongs to the “Banker” estate, separated from the main house by Route 89. More important is that our 10th and 11th greens were saved from destruction, enabling today’s members and their guests the privilege of playing two of the finest golf holes in upstate New York. In the spring of 1948, George McLean, our club pro and a member of the original Ryder Cup Team, was killed in an auto accident in Pennsylvania while returning from a winter in Florida. 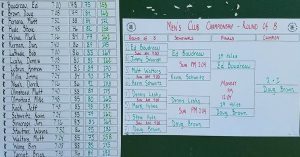 After the war years things remained relatively quiet at the SFCC until 1964 when the Board of Directors, headed by “Bud” Souhan decided to build a new nine holes and make our golf course a regulation 18 hole course. Mr. Souhan donated his time in addition to labor and materials from his Seneca Knitting Mill to clear the land and get the project started. The actual construction began in 1965 and the nine was opened in June of 1966. 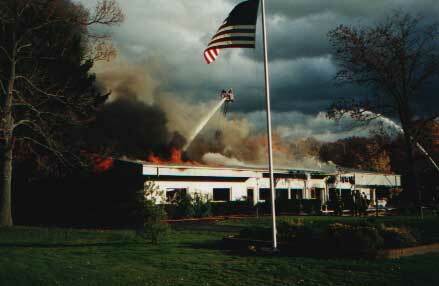 In October of 1999 our long standing clubhouse was destroyed by a fire. We were fortunate enough to rebuild in only one year and our 2001 season is hallmarked by the Grand Opening of our wonderful new facility. Because of the construction, hole #10 was rerouted to play as a dog-leg right and the tee was moved about 100 yards directly north. upon us and smiling as we enjoy the fruits of their labor.